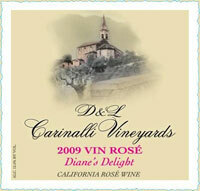 D & L Carinalli Vineyards presented our first Vin Rosé wine vintage 2008 in Summer 2009. 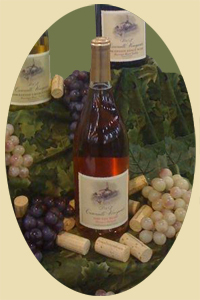 Our first bottling of Vin Rosé was in Spring 2009. The wine made a hit at the Farm Bureau's "Love of the Land" BBQ and wine tasting event on July 16, 2009. Our second label, 2009 CA Vin Rosé wine, was bottled in January 2010. Our third label, 2010 Vin Rosé wine, was bottled in December 2010. © 2008 D & L Carinalli Vineyards sells fine Chardonnay, Pinot Noir, Pinot Grigio and Vin Rosé wines.